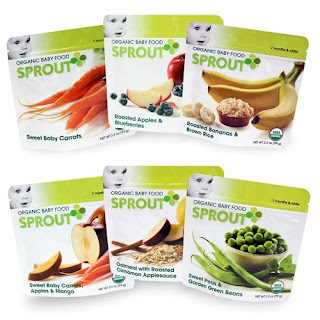 Today's Twitterfest deal from SproutBaby.com is 20% off Sprout Food! Simply follow @sproutbabyclub on twitter and purchase using this link: http://bit.ly/8V9jtS. Every 7th buyer will be rewarded with a FREE Repeat Utensil set! Watch as Sproutbaby.com’s youngest helper, 3-year-old Eden and mom Emily tell us about today's deal. Visit http://www.youtube.com/sproutbabyclub for their special video! Also don't forget that SproutBaby.com is still celebrating its first birthday with $2,500 giveaway! Every purchase at http://www.sproutbaby.com/ between October 15, 2009 and December 15, 2009 will automatically enter you to for a chance win. Every completed purchase is a new entry into the drawing, so come back and visit us as many times as you like!